V6 Dual Hotend compatible with bowden system Features: Compatible with V6 components, such..
Thermistor ideal for the Heated Bed or Hotend. 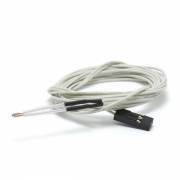 100K ohm NTC 3950 1m wire with dupont conne.. 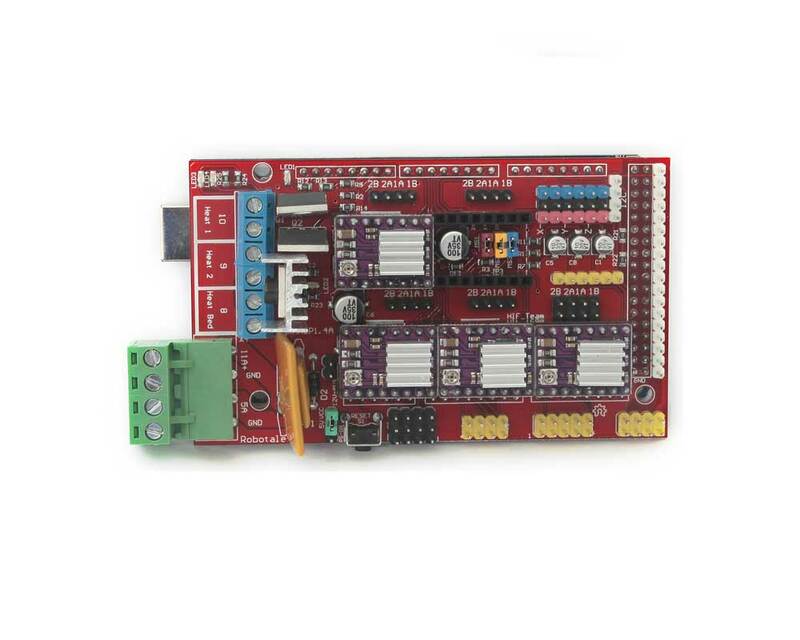 There are many boards available on the market to control our 3D printer and, without a doubt, the combination Arduino Mega 2560 R3 + RAMPS 1.4 has become the most used. 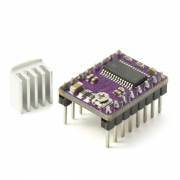 The Arduino Mega is a microcontroller based on the ATmega1280, used for different projects due to its versatility and open code. Simplifying it to our case, it is the brain of our printer, it contains the firmware and it makes our machine be a 3D Printer. 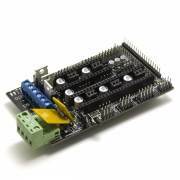 The RAMPS 1.4 board is a shield of connections, it makes possible the connections of each component and that they receive their function from the Mega board. 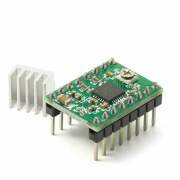 Thus, every component is connected to the RAMPS 1.4 board, and it is very important to make every connection carefully in order not to make any mistake that could harm our boards, as they are sensitive elements. Power Supply: It provides power to our machine through the connection terminals. As we can see at the scheme, the power supply feeds the terminals with two bipolar lines (it is very important to connect the polarity properly). One of the lines feeds our RAMPS with 11A and the other one with 5A. The 11A line provides intensity to the Heated Bed, and the 5A line to the rest: the logical functions of the electronics, the hotend, the layer fan, etc. 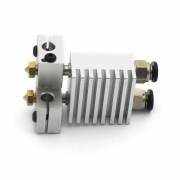 The third line can be used optionally to feed the hotend fan and the electronics fan. 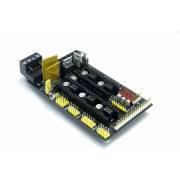 We recommend to place a heatsink on the Heated Bed MOSFET, as it is the component that more consume of our printer, and therefore, its MOSFET is the one that heats the more. We can see an aluminium heatsink at the pictures. 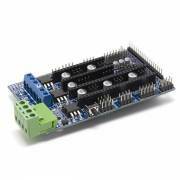 Stepper Motor: This electronic requires four stepper motor drivers, being three of them for each axes of our printer and the fourth one for the extruder. We can see the stepper motor drivers placed on the scheme next to the connections of the stepper motors. We must place Jumpers under the drivers, as they indicate them the steps per millimeter. In the case of the Z axis, there are two connections as this axis needs two stepper motors. Also, we have to take into account the colour order of the wires of the stepper motors, which depends on the model and the manufacturer. (As the colour of the wires may vary, it is very important to check which wire is of each phase from the endstop board). LCD Adapter: We can see its location at the scheme. Puedo alimentar solamente con 5A si no voy a usar una cama caliente? Si, aunque siempre es recomendable seleccionar una fuente de alimentación más potente que la potencia máxima que vayas a usar (factor de seguridad).